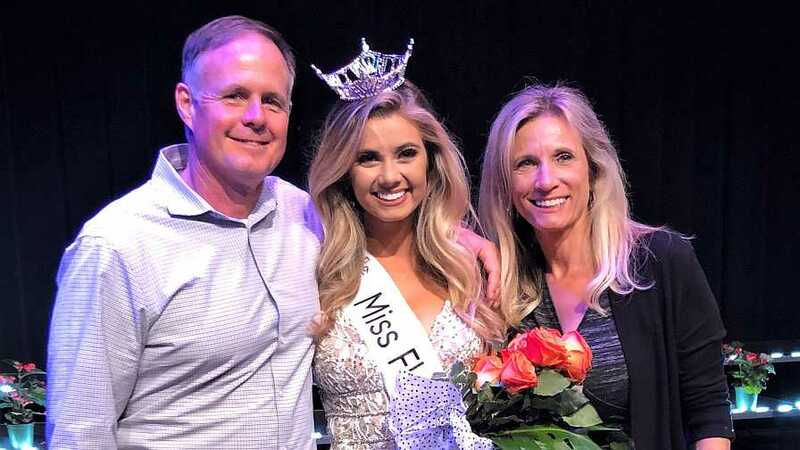 Miss Florida Citrus 2019 Michaela McLean celebrates with her parents Ben and Annie McLean. For those in the Florida citrus community, the McLean name is well known and regarded for success in and around the groves. Now, the deep-rooted citrus family has a new reason to celebrate. Michaela McLean of Clermont was recently crowned Miss Florida Citrus 2019. The Miss America preliminary pageant, hosted by Hosted by David Lang of Regalia Magnificent Apparel, was held at Polk State College’s Fine Arts Theatre where contestants were judged on their personal interview, evening wear/on-stage question, talent, and swimsuit, with more than $3,000 in cash, scholarships, and prizes awarded to the top five finalists. McLean, who was sponsored by Pro Citrus Network, has literally grown up around citrus her entire life. 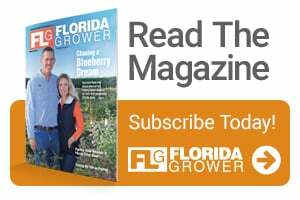 Her father, Ben McLean III, has served as a board member of the Citrus Research and Development Foundation for the past eight years. Michaela’s uncle, Matt McLean, is the founder of Clermont-based Uncle Matt’s Organic, a market leader in organic orange and grapefruit juice. Her grandfather, Benny McLean, was named “Organic Farmer of the Year” in 2015. For the past several years, Michaela has worked the U-Pick store for McLean Family Farms in the spring and sends out fresh organic citrus gift fruit during the holidays. She was the 2015 Miss Florida Outstanding Teen and placed in the Top 10 at the 2015 Miss America Outstanding Teen Pageant. In May, the 21-year old will graduate from the University of Alabama with a double major in dance and public relations. She is the co-founder of Brave and Beautiful, LLC, which empowers women to live, love, and lead courageously. During her spring break this year, she taught dance in orphanages and brought the message of Brave and Beautiful into schools and churches in the Dominican Republic. 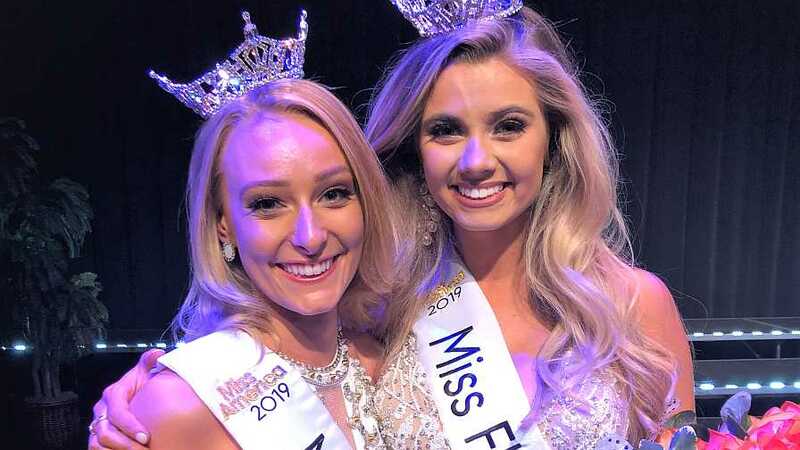 Juliana Fray, Miss Winter Haven 2019 [left], and Michaela McLean, Miss Florida Citrus 2019, will vie for the title of Miss Florida. McLean wasn’t the only winner at the pageant. Juliana Fray of Tampa took the title of Miss Winter Haven. Sponsored by Straughn & Turner, P.A., the 20-year old sophomore at the University of Tampa is seeking a career in campaign management and kick-started her career plans by interning with Blue Ticket Consulting in St. Petersburg for the 2018 midterm elections. Fray’s career plans also double as her platform, “Your Vote, Your Voice,” which encourages youth voters to perform their civic duty and vote, as well as become educated voters to facilitate discussion and participate in public discourse. The Florida Citrus Queen Pageant began in 1924 and has been part of the Miss America Organization off and on throughout the years with the name changing to Miss Florida Citrus in 1984. Miss Winter Haven was added to the program last year. Both titleholders will go on to compete in the Miss Florida Pageant, which takes place in Lakeland June 25-29. The winner there will represent the Sunshine State in this fall’s Miss America pageant.